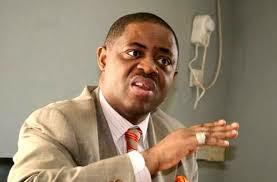 A former Minister for Aviation, Mr. Femi Fani-Kayode, has been summoned by the Inspector General of Police, Mr. Ibrahim Idris to report to the Force Headquarters in Abuja by 10 am on Tuesday, August 28 to respond to allegations of conspiracy, criminal defamation, inciting publication, injurious falsehood and conduct likely to cause breach of peace brought against him in a case allegedly reported to the Police. Fani-Kayode was summoned via a letter dated August 20 which was signed by the Commisssioner of Police in charge of the Inspector-General of Police Monitoring Unit, Habu A. Sanni. The former Minister was asked to report for interviewing by Sanni through SP Usman Garba. Urging Fani-Kayode to note that the invitation was purely for fact findings, the Police solicited the former Minister’s co-operation.